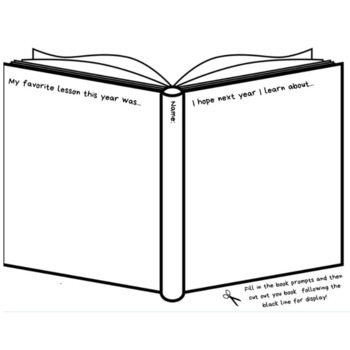 Use this Book template to allow students to reflect about their favorite lesson this year. Then have students think about what they would like to learn more about next year. 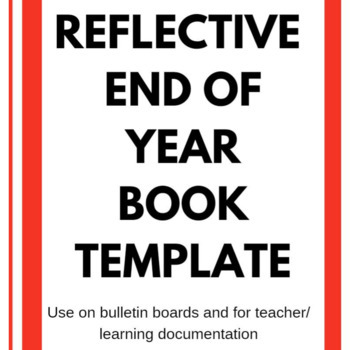 Use for Teacher learning documentation, student portfolios, next year teaching learning assessment, and decor for bulletin boards! Remember to print only the pages you need! Thank you for your purchase! Please remember to leave feedback for TPT credit and follow for new product updates! Share this product in action on Twitter #WestenWerks THANK YOU! I would love to hear how you used this product!